press releases, an online store, general resources and original designed t-shirts. All exclusive. Founded in 2001 by Hugo Lunny, MVRemix takes off where his previous and hugely successful site Tha-Real left off. With offices in Vancouver, Toronto and New Jersey, the site has expanded exponentially, receiving over 18,000 visitors every day. MVRemix is dedicated to quality entertainment writing—something that is lacking on hip-hop websites today. Whether it be a shoot-from-the-hip opinion piece, a compelling profile on a movie director, a feature on your favorite indie group or a no-holds-barred interview with one of the biggest names in hip-hop today, MVRemix is committed to giving you what you want. Currently, the site holds merit for its countless editorials, feature-length articles and exclusive interviews. Having re-launched early 2005, we are constantly working to bring you more of what you want, including audio, movies, message boards and an expansive online store. We love to hear from you, and always welcome feedback and suggestions. Please do not hesitate to contact any of us. MVRemix receives a very competitive amount of visitors on a daily basis as we cater to a large assortment of tastes. If you're interested in advertising on MVRemix.com or setting up any promotions (for example - giveaway contests). 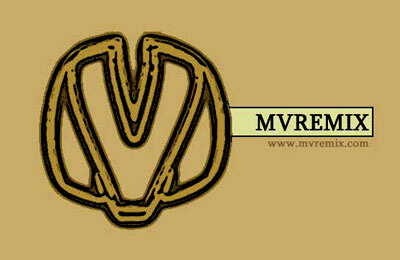 Please e-mail advertising@mvremix.com with your campaign ideas/requirements. Rates are available on request. Our preference in receiving material today is of course digitally. Please send full length releases to amy@mvremix.com. Include all necessary assets alongside the music, ideally within the same email. If you wish to have material featured on MVRemix, we also welcome hard copies. We accept all formats of music and video. If sending vinyl, please include 2 copies of each release if you wish to have the material featured in our mixshows. The MVRemix store is open to sell material on a consignment basis. If you're wishing to become involved with the store in that manner, please email store@mvremix.com.